Dutyfree is a long, stylish Junior Kid. She excels in her feet and legs as well as her sharpness and width. 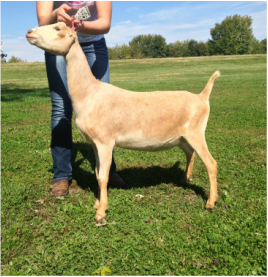 She was the 5th place Junior Kid at the 2013 ADGA National Show. 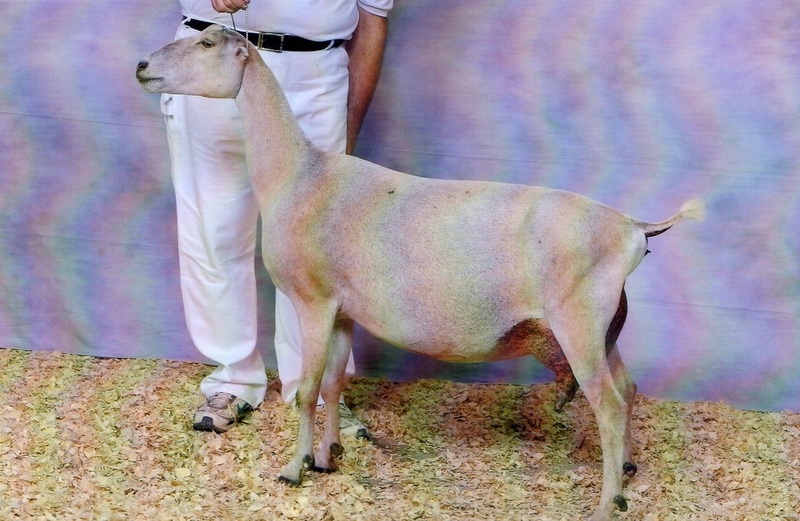 In 2014, she was 14th Place Dry Yearling and was 5x1st, 2xRGCH. 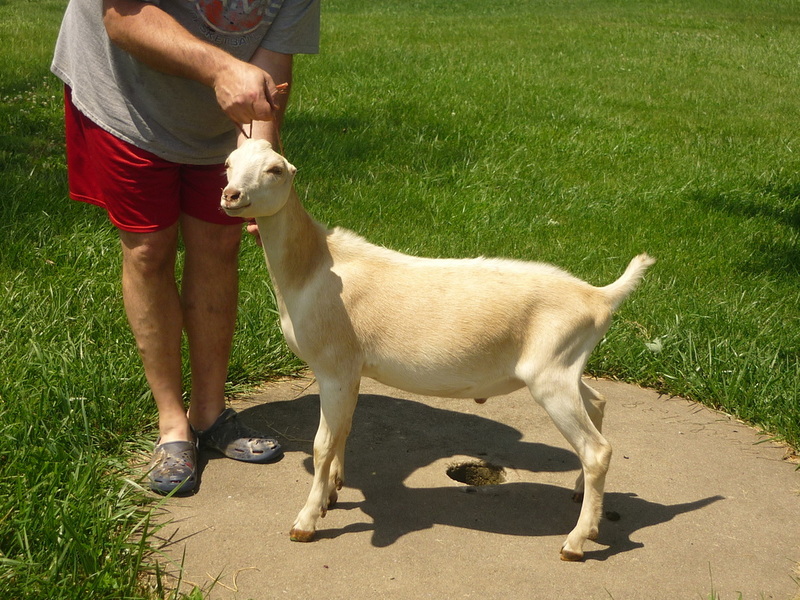 Etoo was the first kid born on our farm this year, so she has always been a little special. 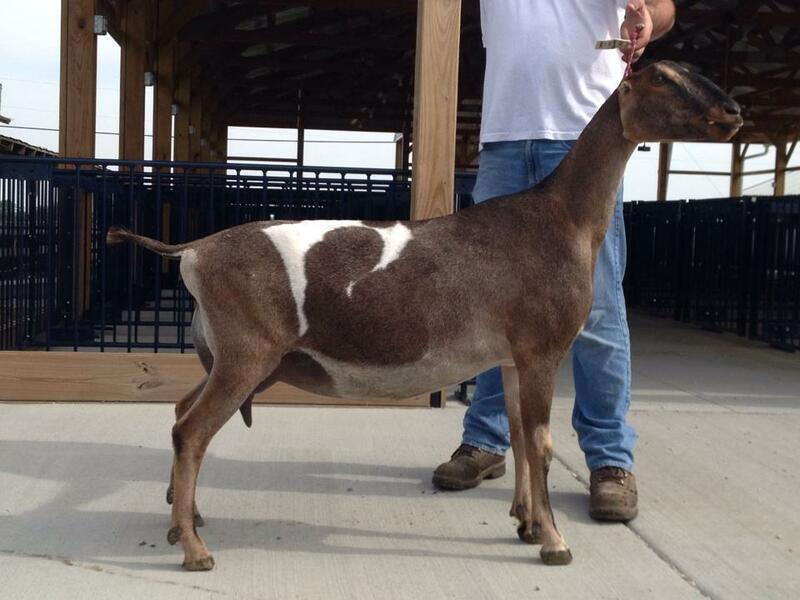 When Cameron clipped her up for the first show, he was really impressed. 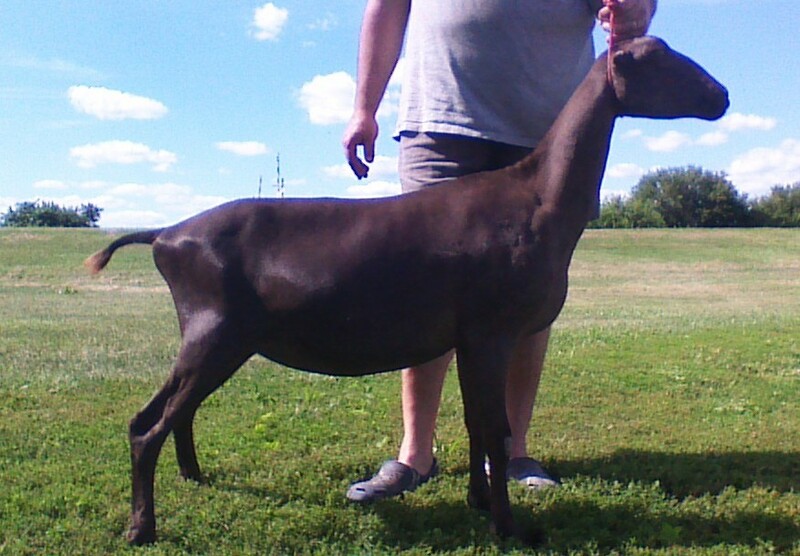 She went out and was 2x1st, 1xGCH. 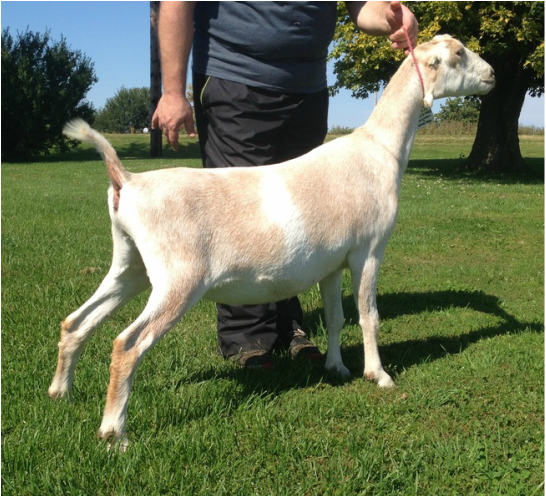 She continued to go out and never lose her class, and was 4xGCH, 1xBJDIS as well as placing 4th at the National Show as a Senior Kid. She is a very long and sharp kid, with a lot of width. Eire started out awkward, and throughout the year she has gotten progressively more mature. We really are waiting for her to freshen because I think she will have a very nice udder. This kid has a very unique story. 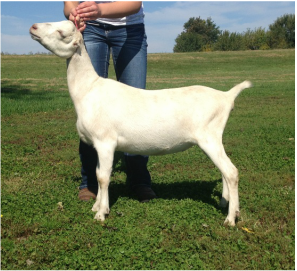 We lost her dam after she freshened, and initially fell in love with this kid. After tattooing her, her tail became infected. So we waited and waited to show her, and her first show was the Nationals. 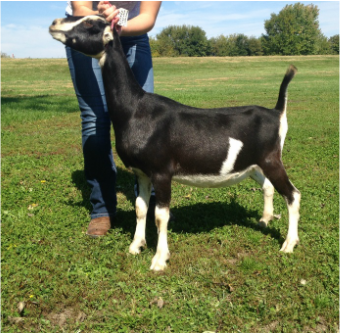 She was 2nd Place Intermediate Kid at the Nationals to the 2014 Reserve Junior National Champion, so not bad for her first show. 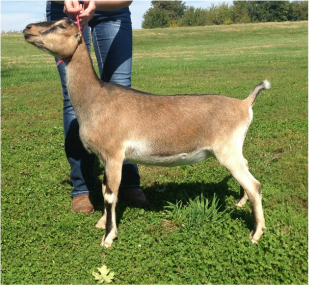 She went to go 3x1st, 1xGCH, and 1xBJDIS the rest of the year. She is so stylish and correct as well as long and wide. I can't wait to see how she freshens. Ego is a very deep and wide intermediate kid out of Besmooth2. 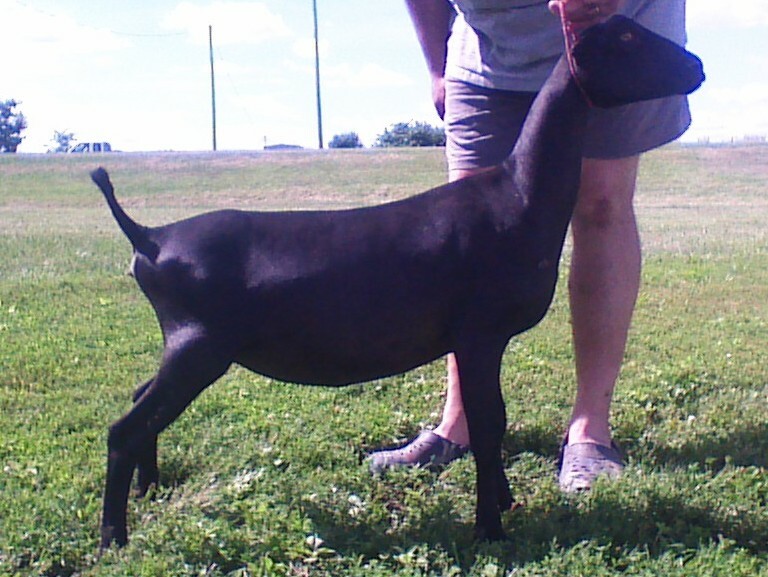 My favorite Lamancha kid, she was 7x1st, 2xRGC, 1xGCH and 7th place Intermediate Kid at the National Show. 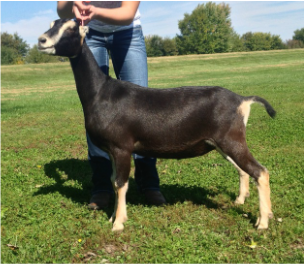 We were excited to have another Birdland daughter and to have a 2nd daughter out of Carefree. 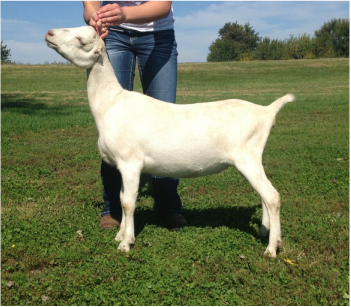 Ezfree is a bit slow maturing, but she is starting to grow into herself. 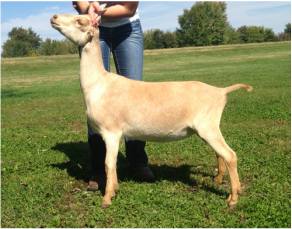 She was limited in the show ring this season, and will be given some time to mature into a dry yearling. Emu is a super long, deep, and stylish Junior kid that we love. She reminds us a lot of her Granddam Yellobird. She was 3x1st, 2xRGCH last year. 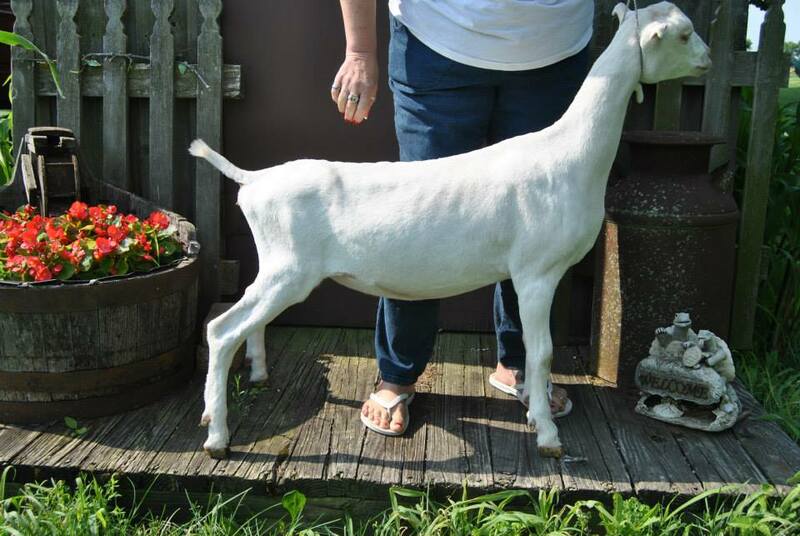 She will be bred for late kids. Egle is out of Canary, who we lost last Spring, and is super immature. 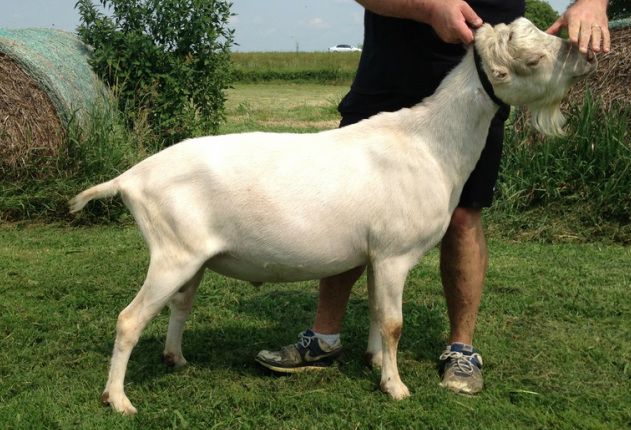 She did not see a lot of shows this year, and will be bred later this fall. 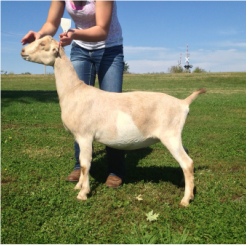 We were very unsure of Evil throughout the Spring, and we thought we should keep her because "Who wants a goat named Evil?" However, she turned out better than we thought! 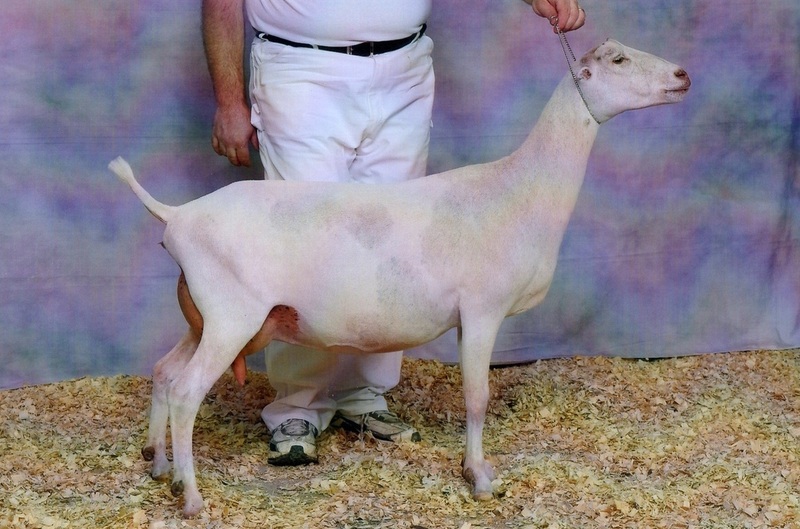 She was 2nd place Junior Kid at the ADGA Nationals, 4x1st, 1xGCH, and Best Junior Doe in Show at the Illinois State Fair. 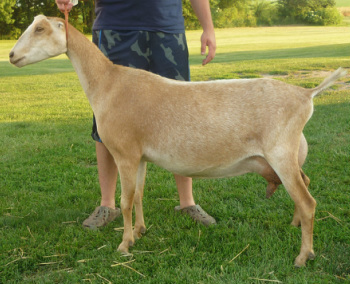 Like most of the Alabaster kids, she is super deep and wide with a good set of legs. We will be keeping her dry next year.